Turnkey Systems -- OPTTON, Inc.
Optton fiber-coupled laser diodes offer high brightness and high power with unprecedented beam quality. These compact devices deliver up to 10kW through a fiber assembly with core diameter ranging from 0.05-1mm. These devices can be offered in various configurations. Fiber-coupled modules that deliver up to 60 watts are conductively cooled and ready for mounting on a heat sink. Devices with higher power are normally water cooled. Apollo's water-cooled devices are robust. There is no need to use de-ion water or ultra-filtration. The fiber-coupled laser diodes provide ideal beam sources for system integration and offer the simplest and easiest way to deliver high-power laser light to a variety of applications. 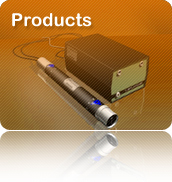 The devices are cost-effective pump sources for laser pumping (such as fiber laser pumping). They can also be excellent beam sources for material processing and medical applications. Due to the high brightness, the devices have been shown to be effective in direct laser applications such as metal cutting, marking, soldering, welding and silicon wafer treatment. Together with a focusing lens, some laser modules can easily achieve a beam spot with a power density over 4MW/cm2. 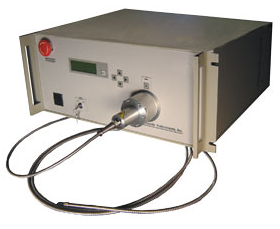 Models are now available in a variety of wavelengths ranging from 780nm-1530nm. Although the standard modules are built with a single wavelength, multiple wavelengths can be combined. One of the unique characteristics of Apollo Instruments' fiber-coupled devices is that all the output is emitted from the fiber core. There is no cladding mode.